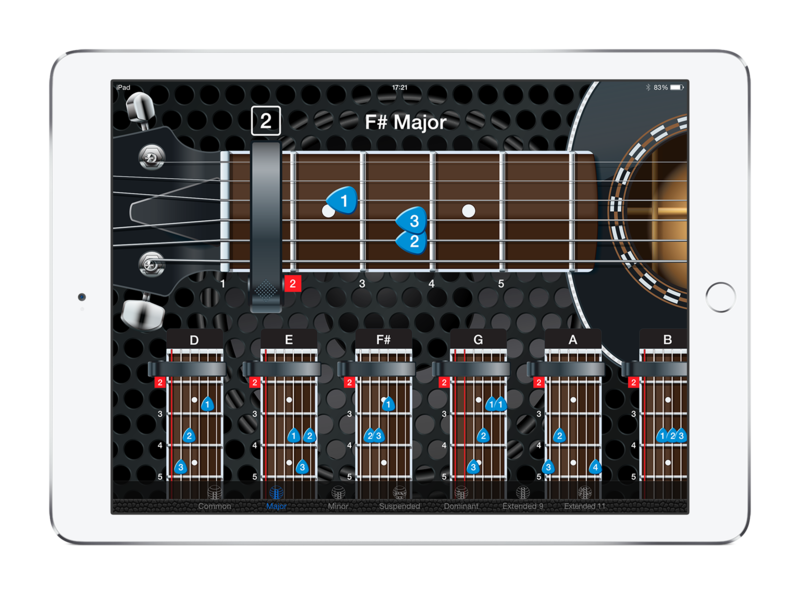 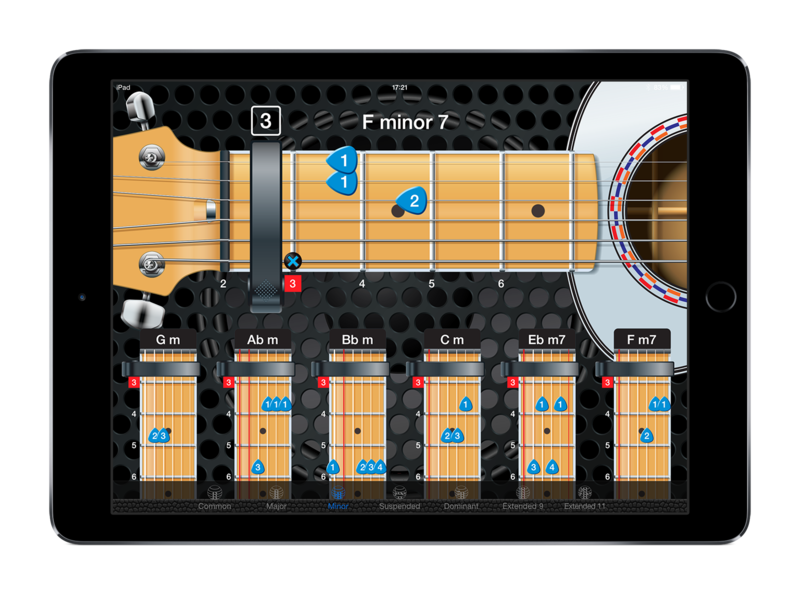 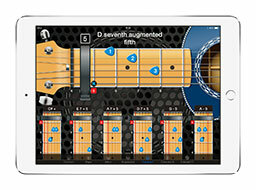 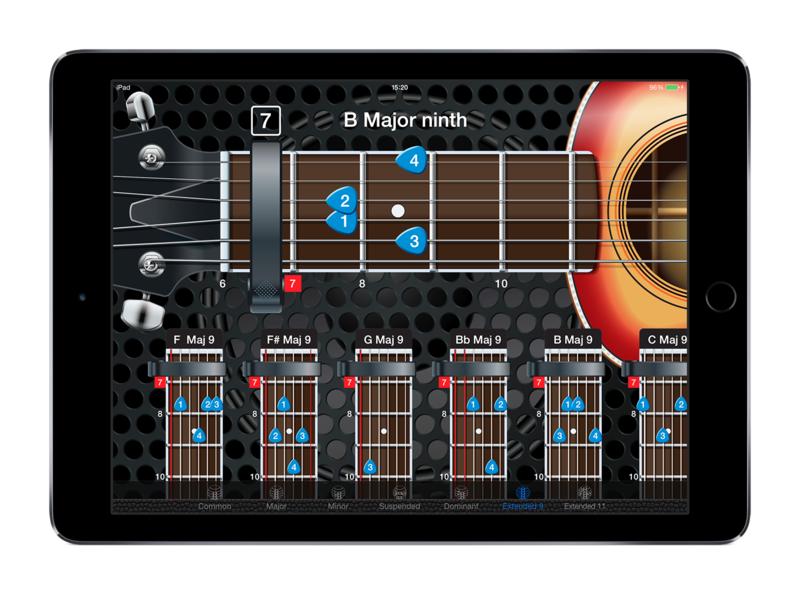 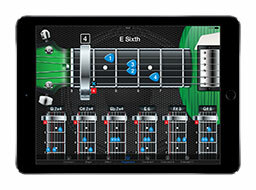 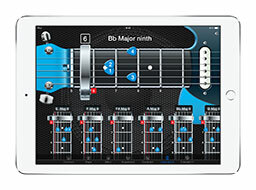 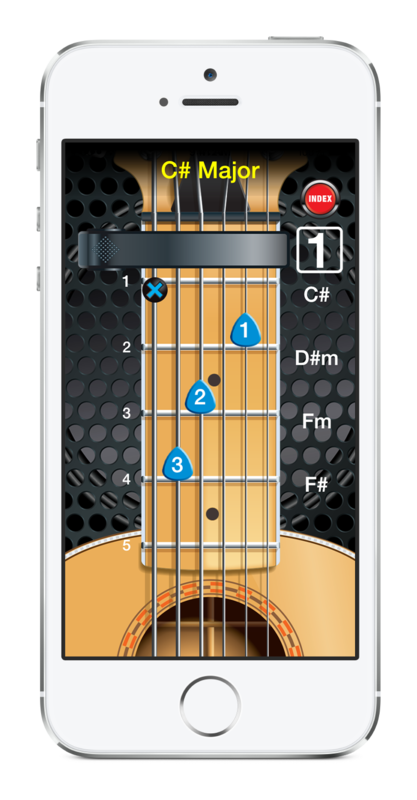 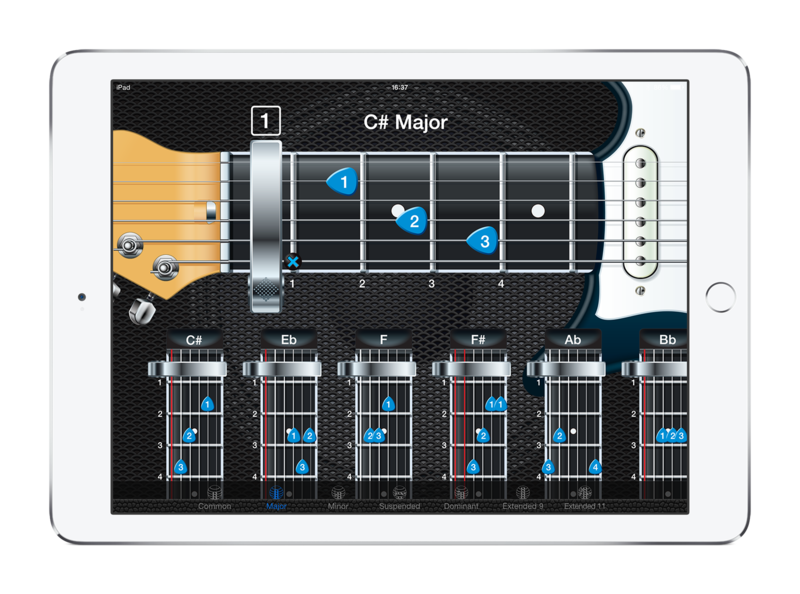 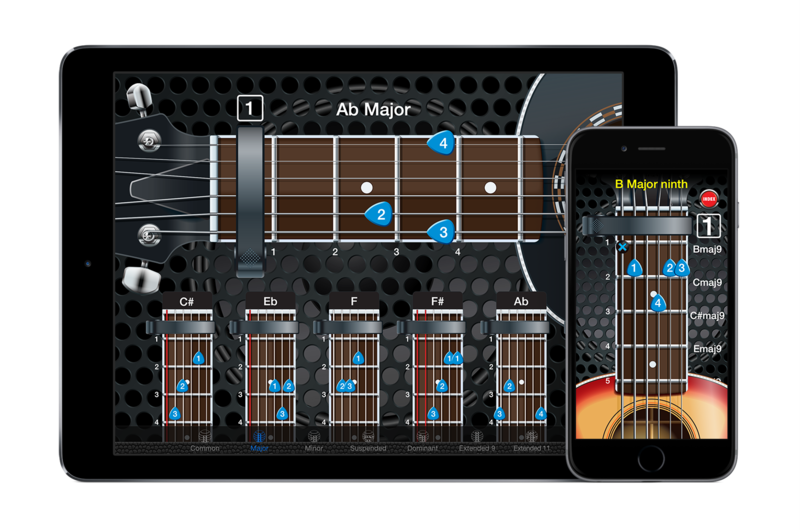 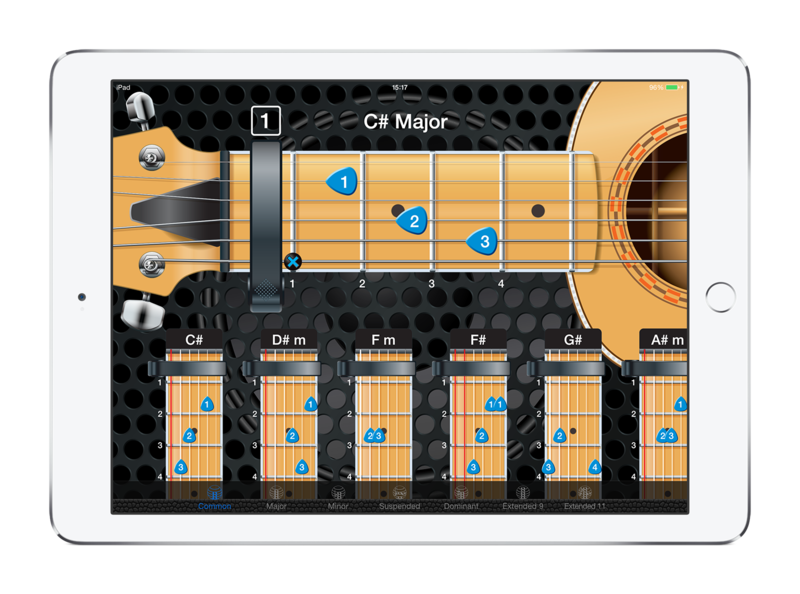 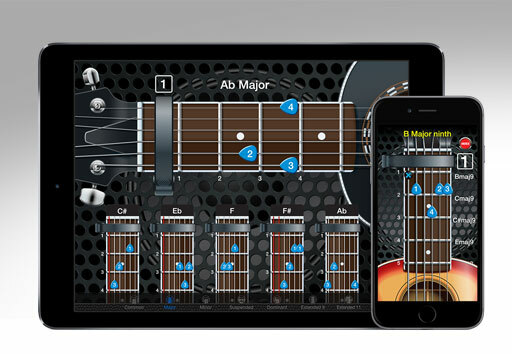 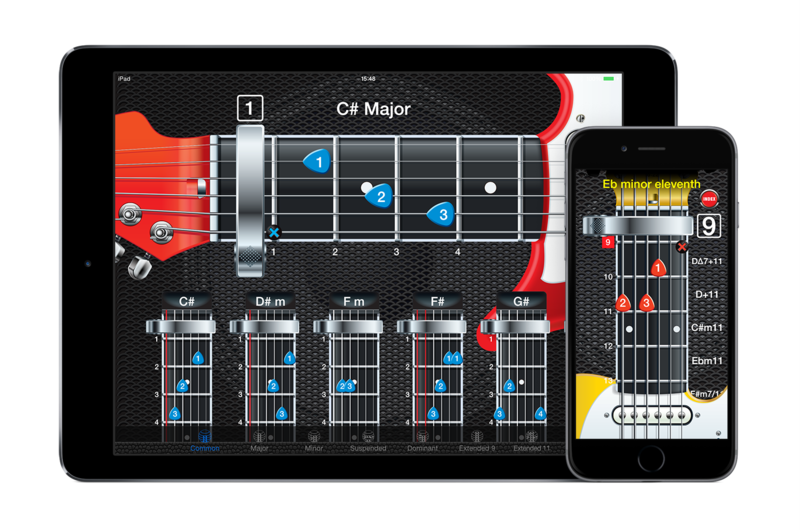 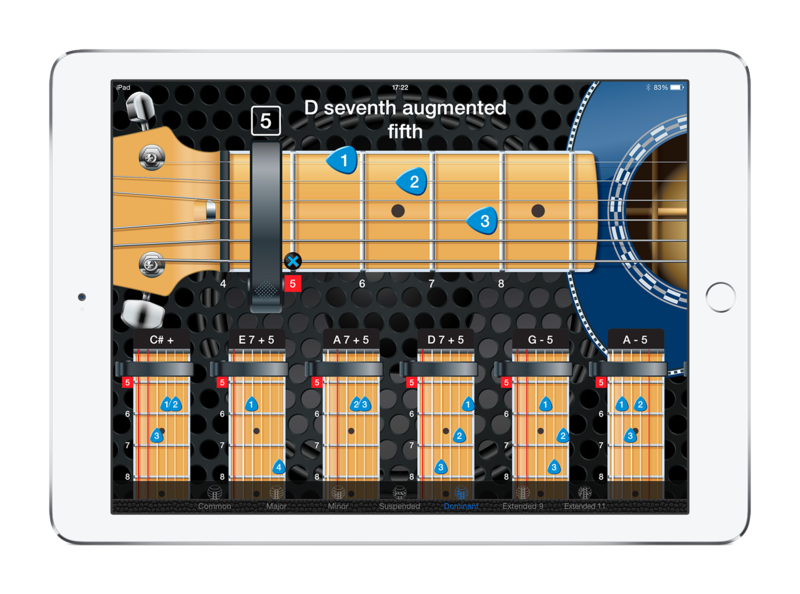 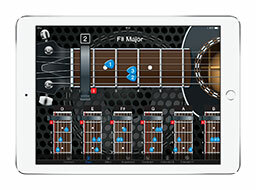 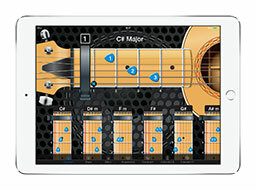 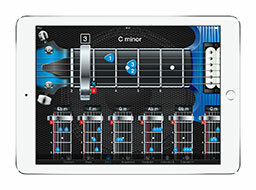 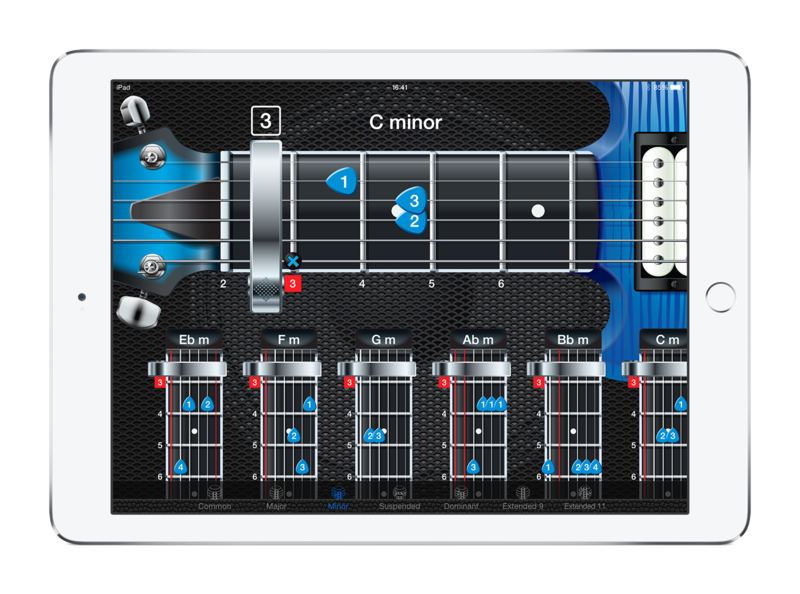 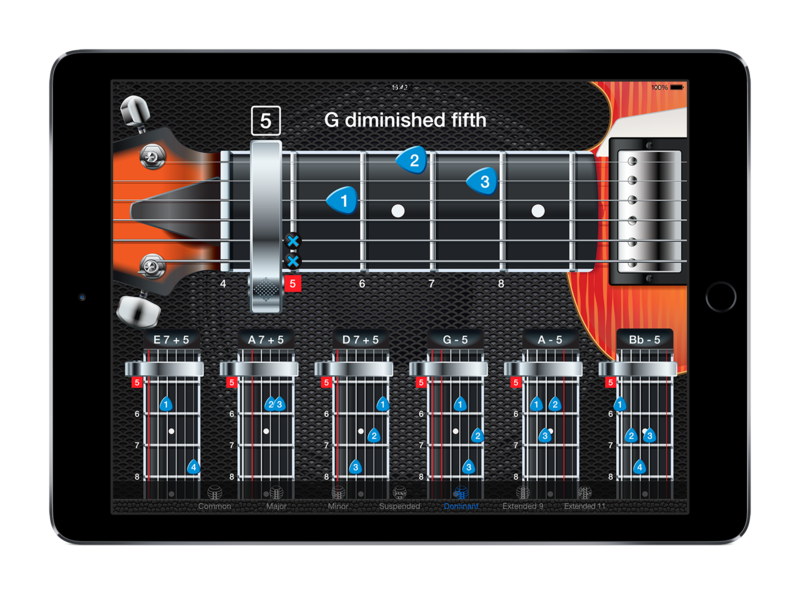 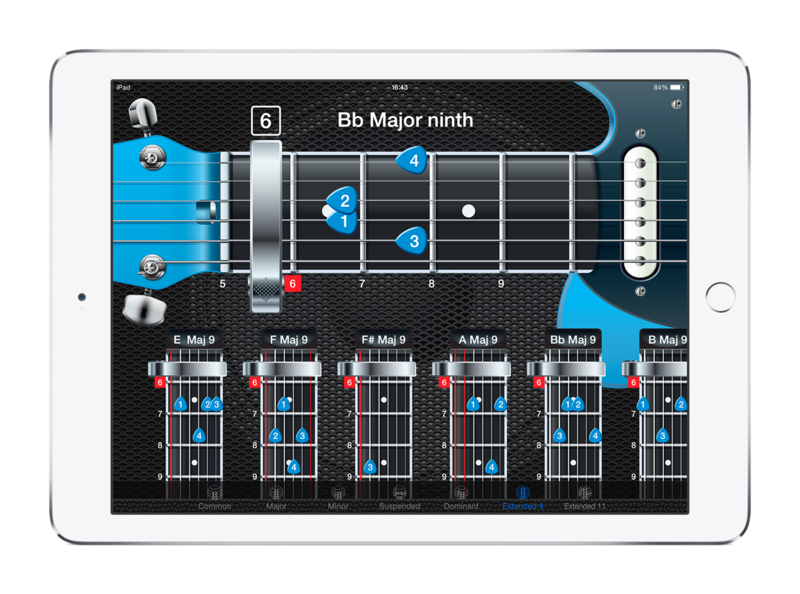 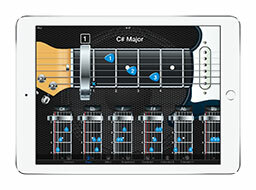 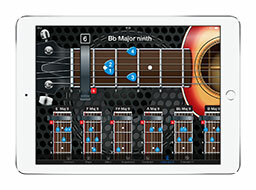 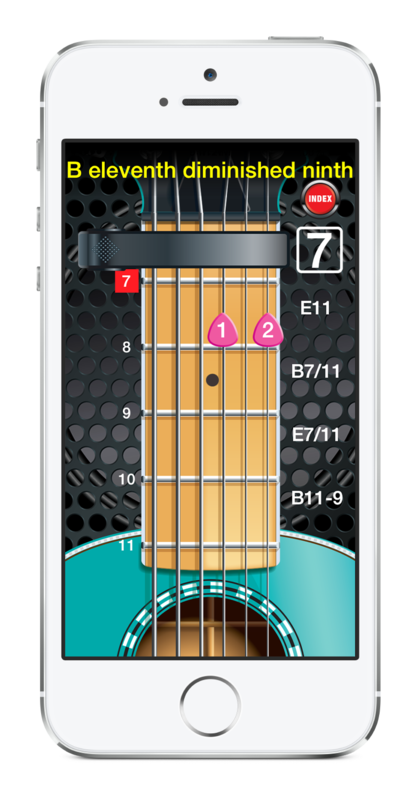 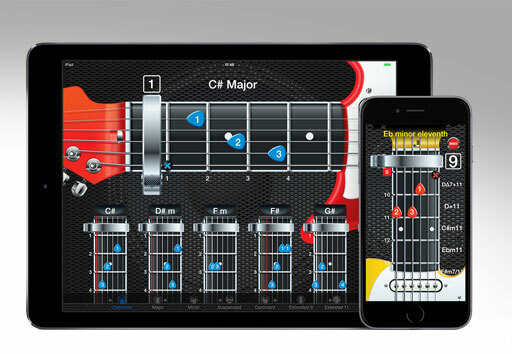 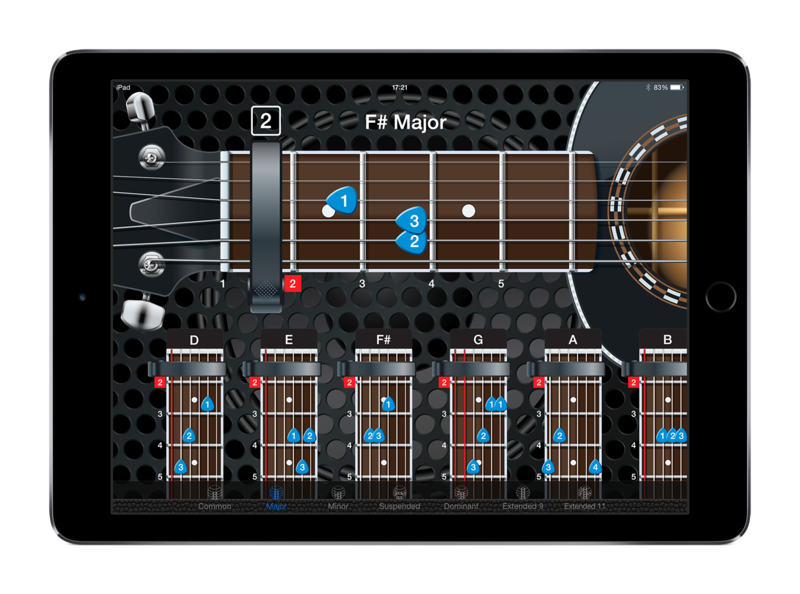 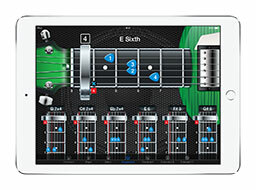 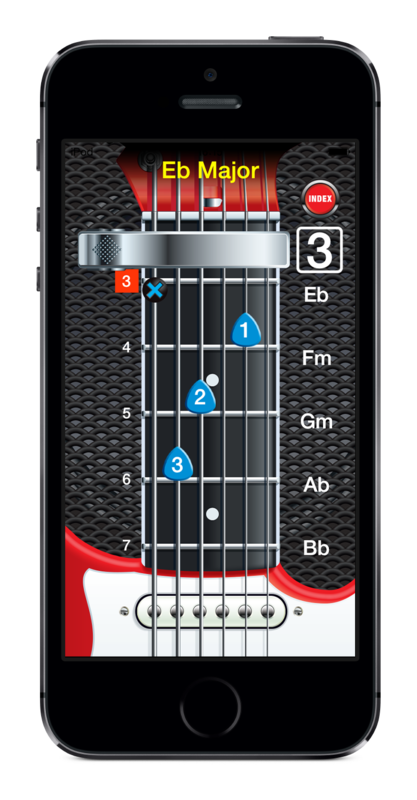 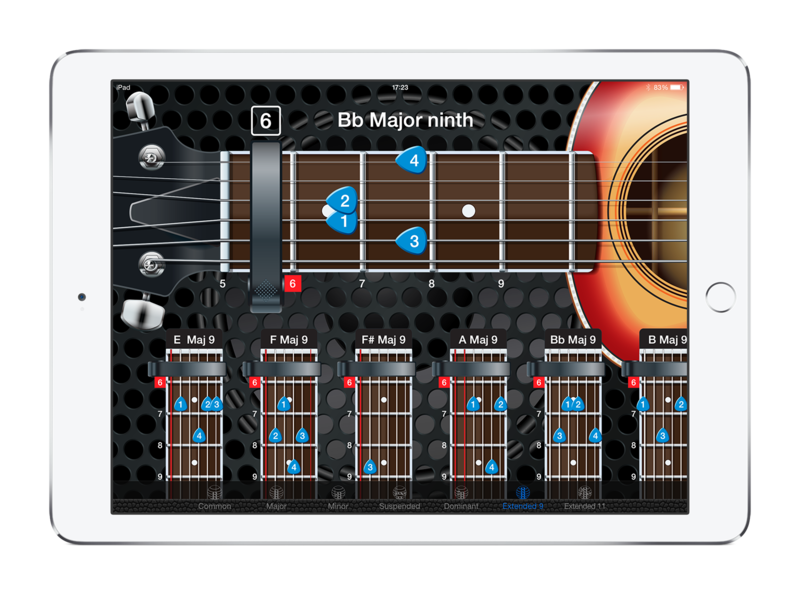 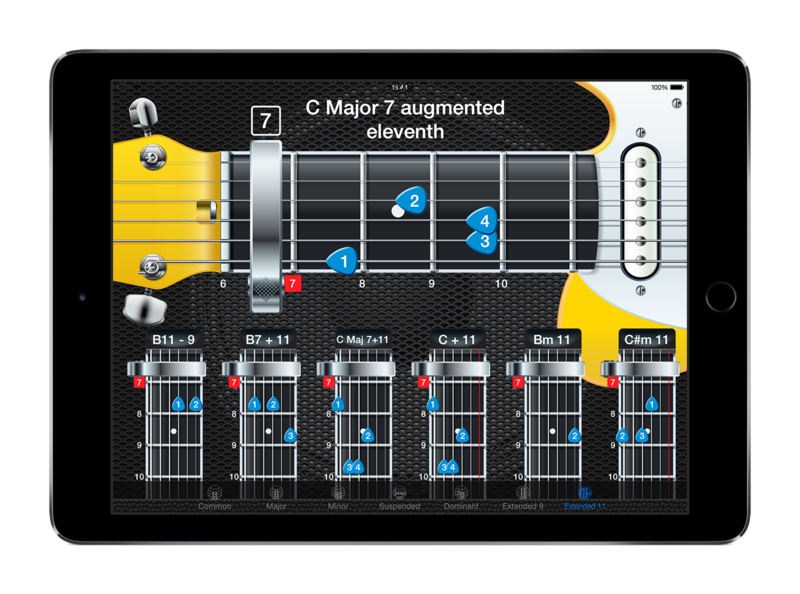 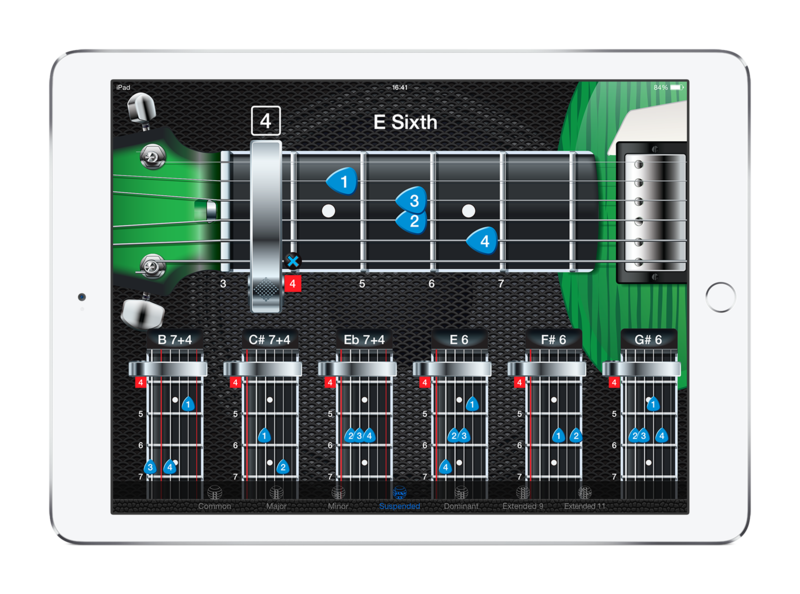 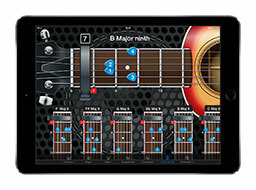 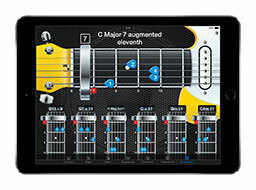 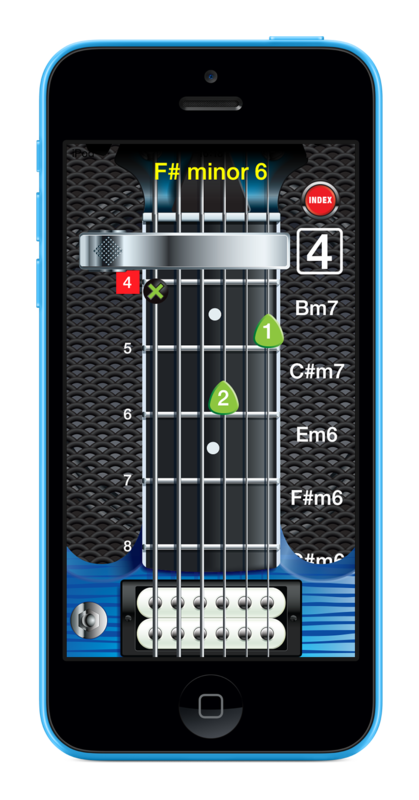 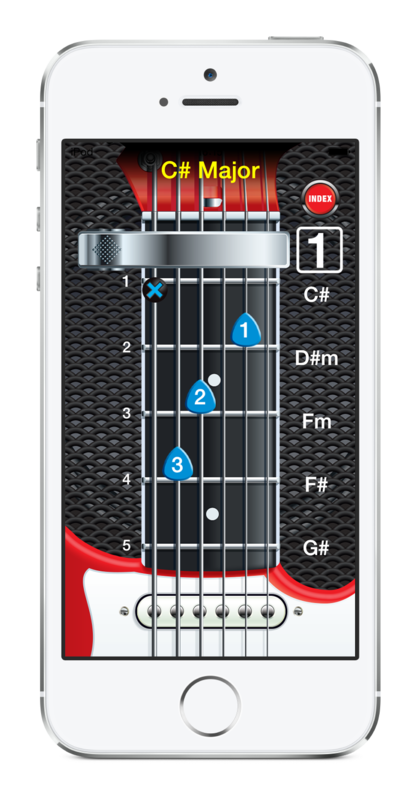 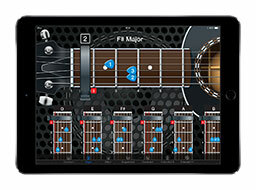 Capo Acoustic and Capo Electric are presented on a Silver or Space Grey iPad Air or iPhone 5. 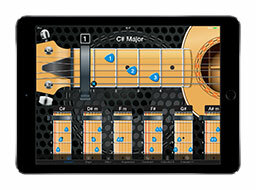 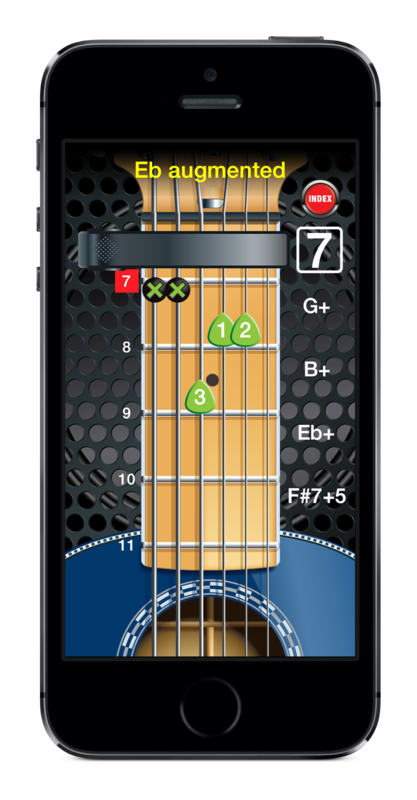 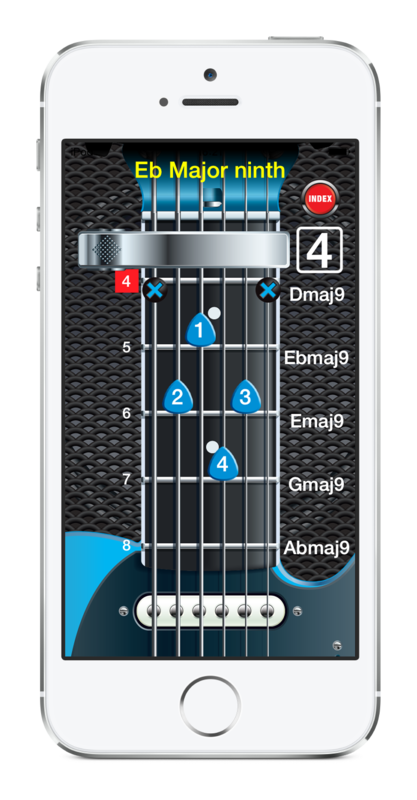 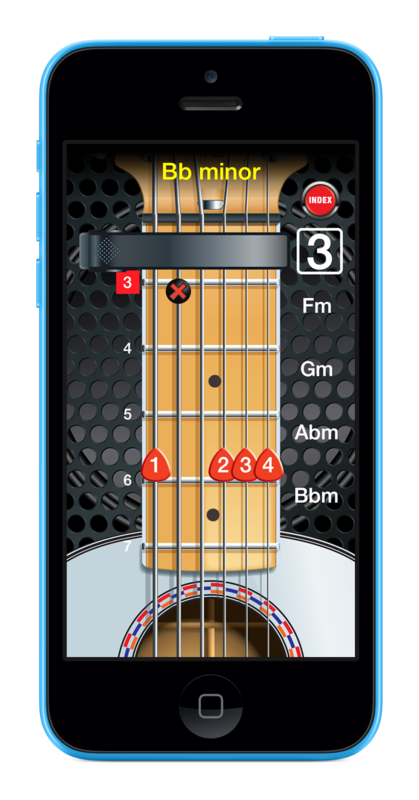 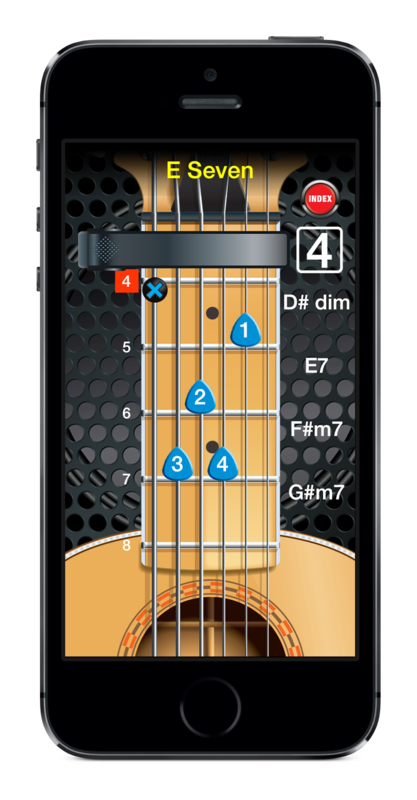 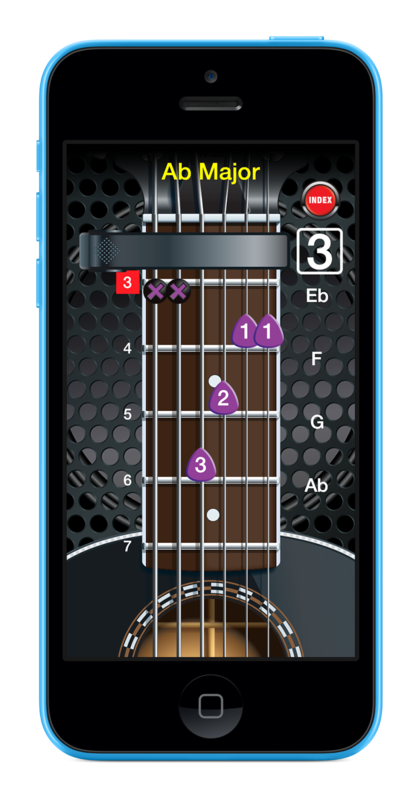 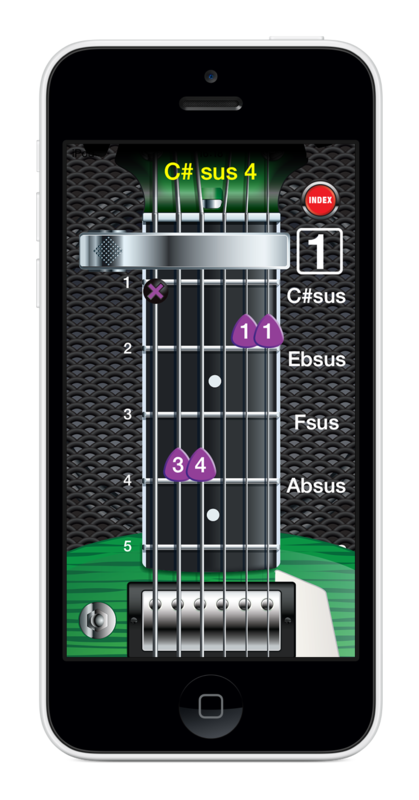 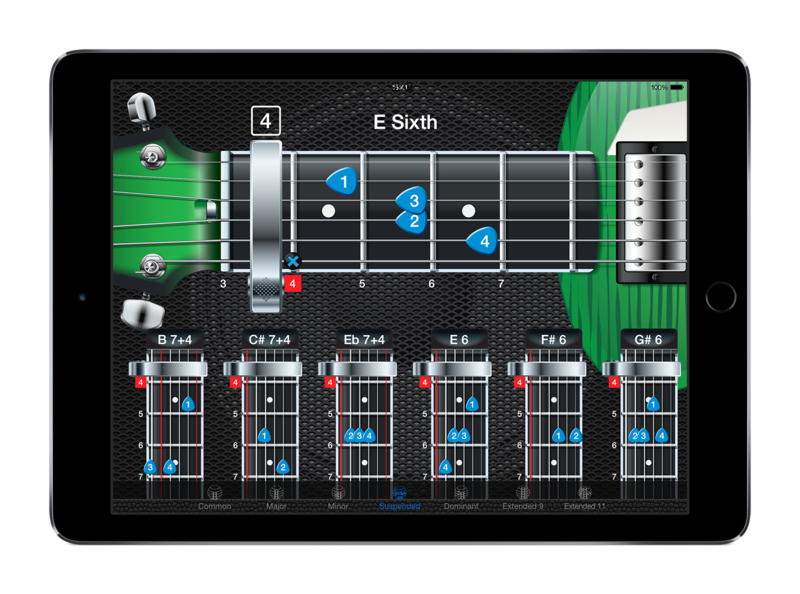 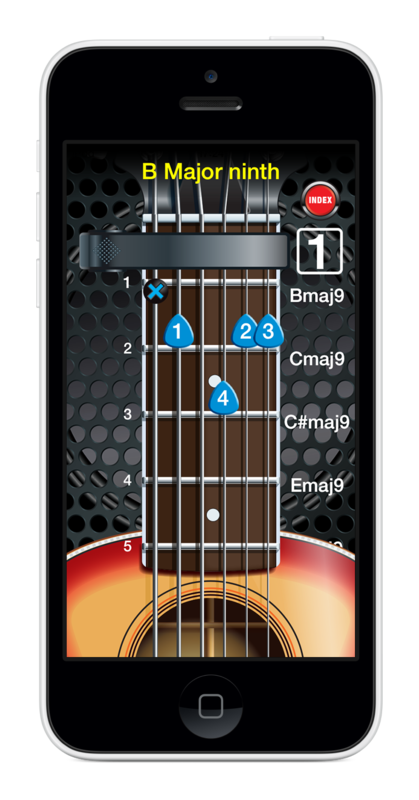 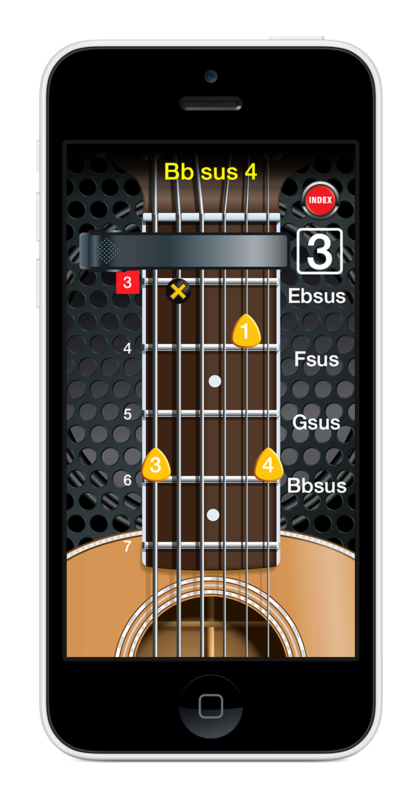 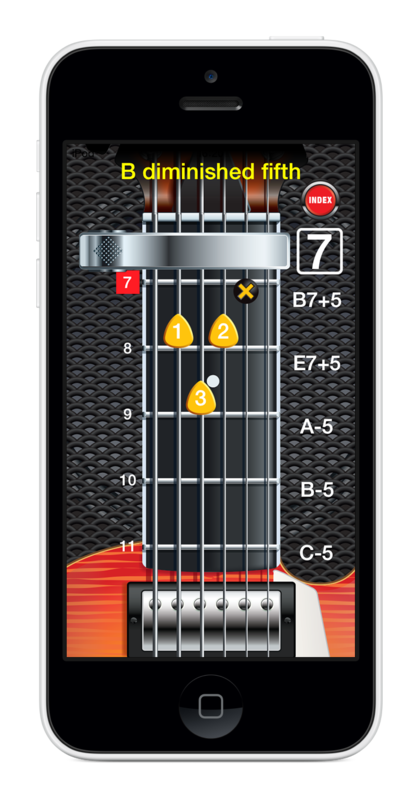 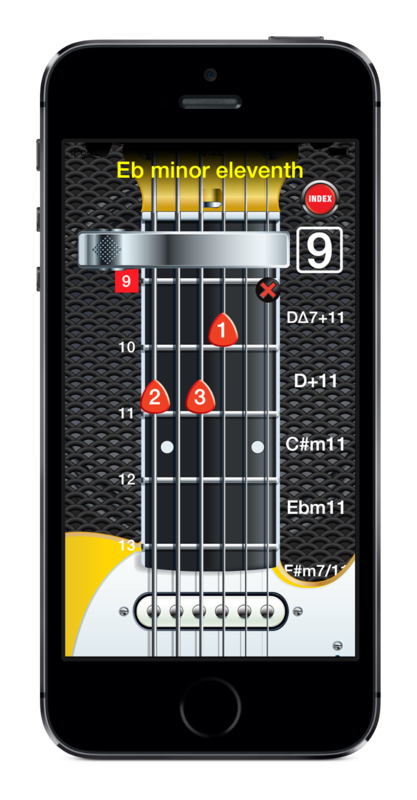 The screen images show various chords and neck positions. 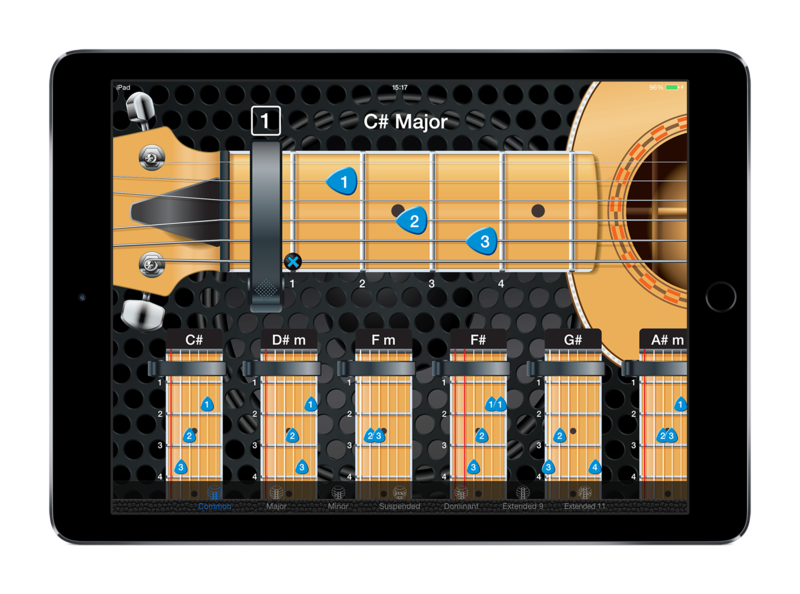 Click on an image to download a high resolution PDF file.